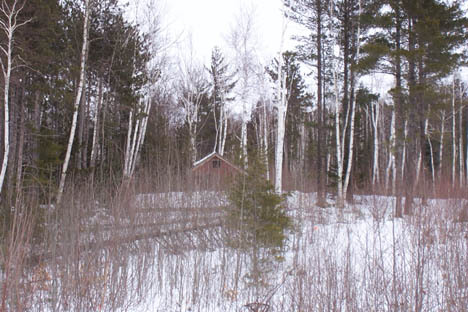 Stanton Slopes, located about a half-mile east of Bartlett, was a small ski area, of which not too much is known. 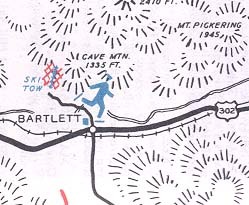 In 1938, the ski area had an 800' tow which served a 100' drop (1938 NH Winter Sports Guide). 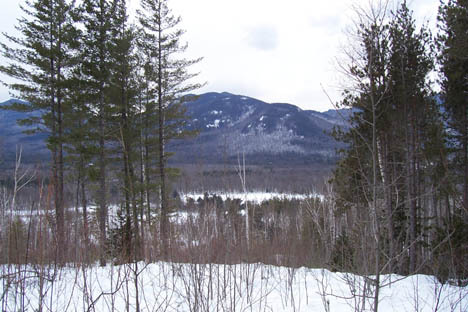 According to the late 1940's World Ski Book provided by Wayne Silver, the area had grown to include "a 1200 foot tow which serves the 30 acres of open terrain suitable for all grades on a 300 foot vertical drop known as Stanton Slopes." 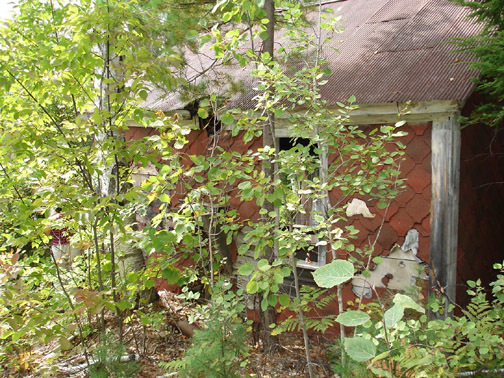 No other listings appeared after the late 1940's, so it had probably closed by then. Here's where the area was located. Picture from the 1938-1939 NH Winter Sports Guide. A. Hamilton found this area in March, 2002 and took the following shots. Some NELSAP readers also have some more information. The ticket shack, almost fallen over (A. Hamilton). Jacob Alander: My name is Jacob Alander and I grew up in Bartlett, New Hampshire where the Stanton Slopes are located. Around 1996-1998 while in high school, my brother and friends of ours used to stomp around the slopes. 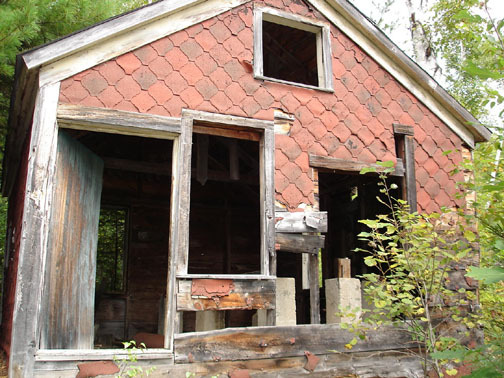 There was an old ticket booth that served as the bottom of the tow rope, and then there was the old top building that had an old rusty motor in it, which served as the top of the old tow rope. All grown in by then, you could still make out some trails, as we used to glade ski it occasionally in the winter. To skiers left of the mountain was a big old lodge that was half fallen over. 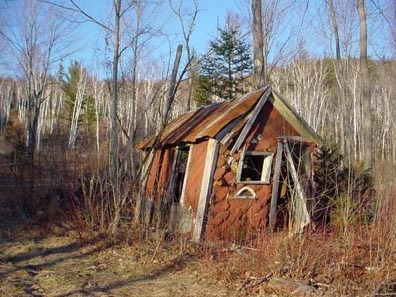 It was quite the site to be seen, as it was a huge lodge, half fallen over, in the middle of the woods. As high school kids, it was quite an exciting find. 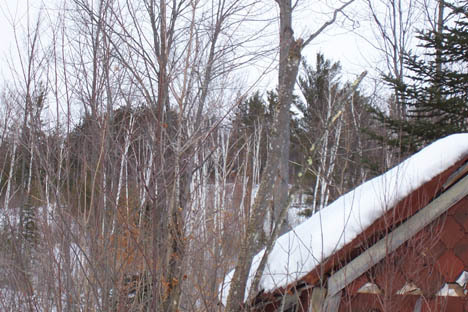 However, due to the way of progress, the ski hill is now part of Stillings Grant, a land development company that is erecting houses and land plots on the old hill. 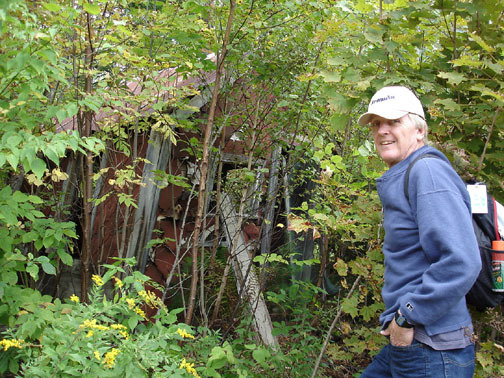 Peter Villaume: I happen to live on the hill that the Stanton Slopes was once. It happens to be the "common lands" of Stillings Grant development. On Dec. 11th of 1999 there was a severe wind storm (100+mph micro burst) that tumbled in excess of 1100 trees in the development. 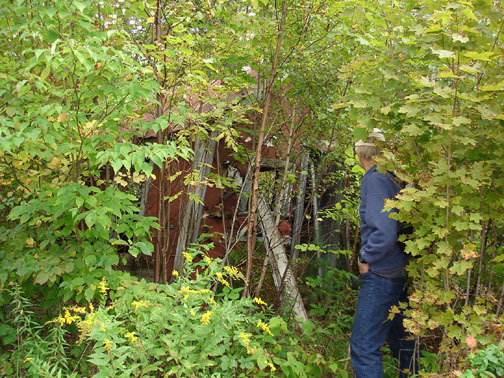 This also opened up the old ski hill with one of the tow buildings showing again. This is a fairly rolling area, and could have been a real challenge to traverse before large packers were readily available. 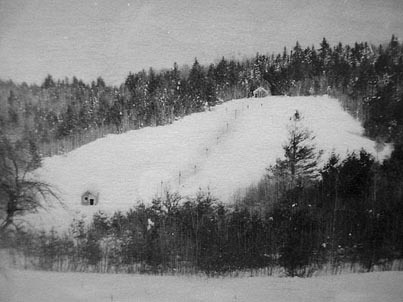 A view of the slope in operation. Notice the ticket shack easily visible, and compare it to the shot taken today (A. Hamilton). slope has been thinned out and is somewhat skiable. will give readers a full perspective of my visit. The top of the slope, approaching the top of the old rope tow. The top of the old rope tow. The pillars which used to support the rope tow machinery at the top. 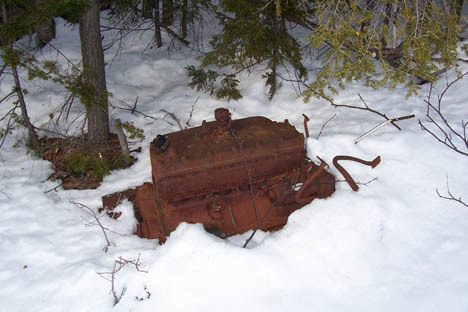 The old rope tow engine. 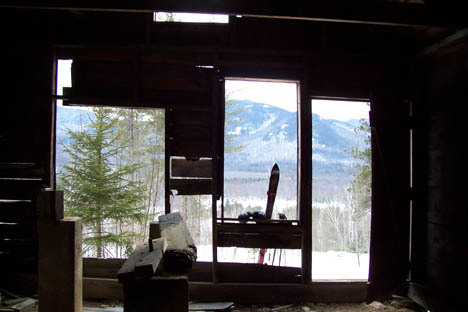 The inside of the summit rope tow building, looking out at the old slope and nearby mountains. Great views looking down the old slope. Fred Schaaff and his wife visited the area in early September, 2006. He reported that bulldozers were nearby for the next phase of development at the area, at Stillings-Grant. These may be some of the last photos of the area. To the right, Fred examines the ticket shack. Fred at the ticket shack. 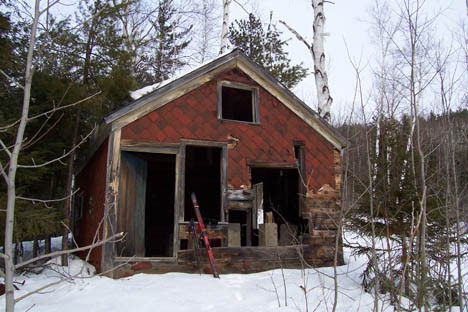 Side view of the lift shack. Front view. 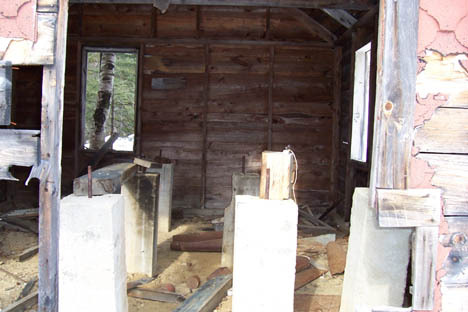 Again, this may be the last picture taken of the lift shack.